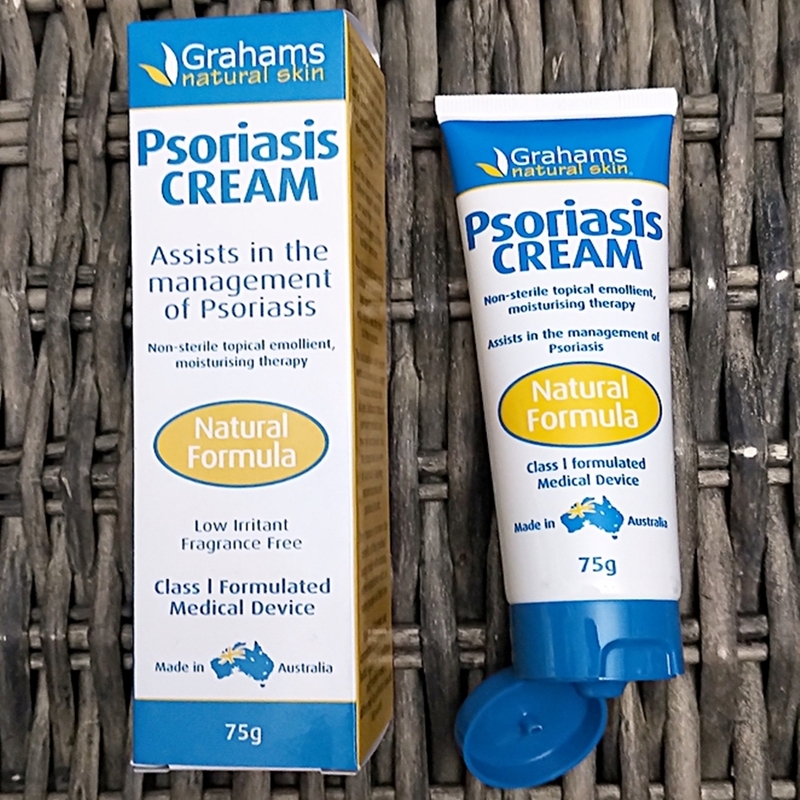 Home / SkinCare / Grahams Natural Psoriasis Cream. 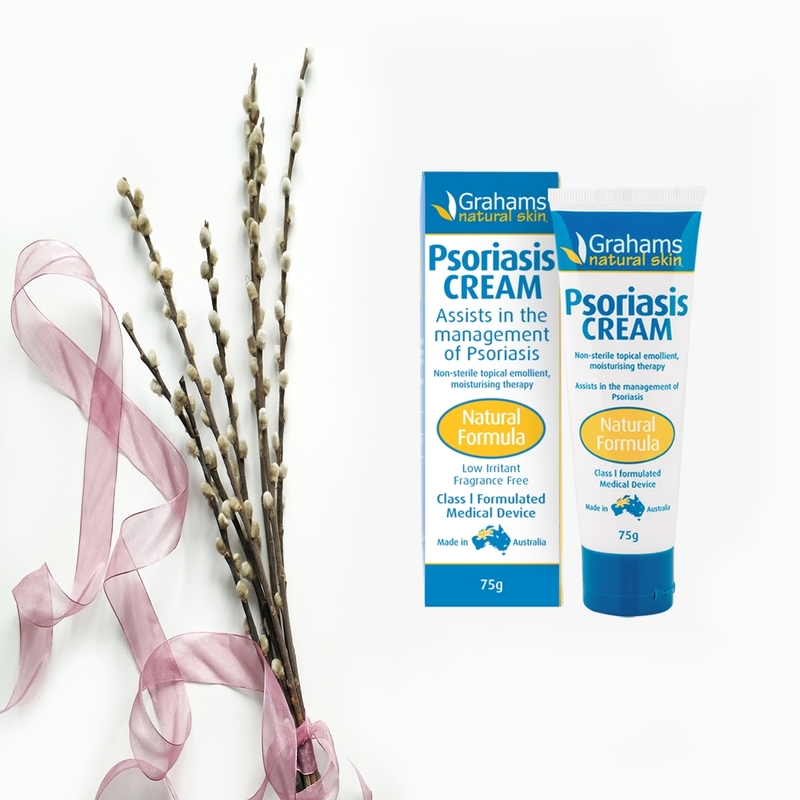 Assist in the management of Psoriasis when topically applying the Grahams Natural Psoriasis Cream daily. Grahams natural alternatives was created by Geoff and Shannon out of a necessity to find a natural and safe treatment for their child's eczema. Geoff who has his own experience with suffering from eczema did not want his own child going through the same agonising journey, so they discovered using a unique combination of high-quality ingredients was a success. The husband and wife team created and developed a range for all ages and is recognised as Australia's leading natural eczema and psoriasis skincare brand. Essential emollients used for psoriasis and eczema assist to soothe and provide hydration, while trapping and stopping essential moisture loss. Emollient therapy can also help to redress skin plaques, one of the key signs of psoriasis, while also helping dry, inflamed, itching, and thickened skin. Emollients are quite different from a moisturiser by the fact they include more particular ingredients inside a finished moisturiser to specifically treat more than one skin complaint. 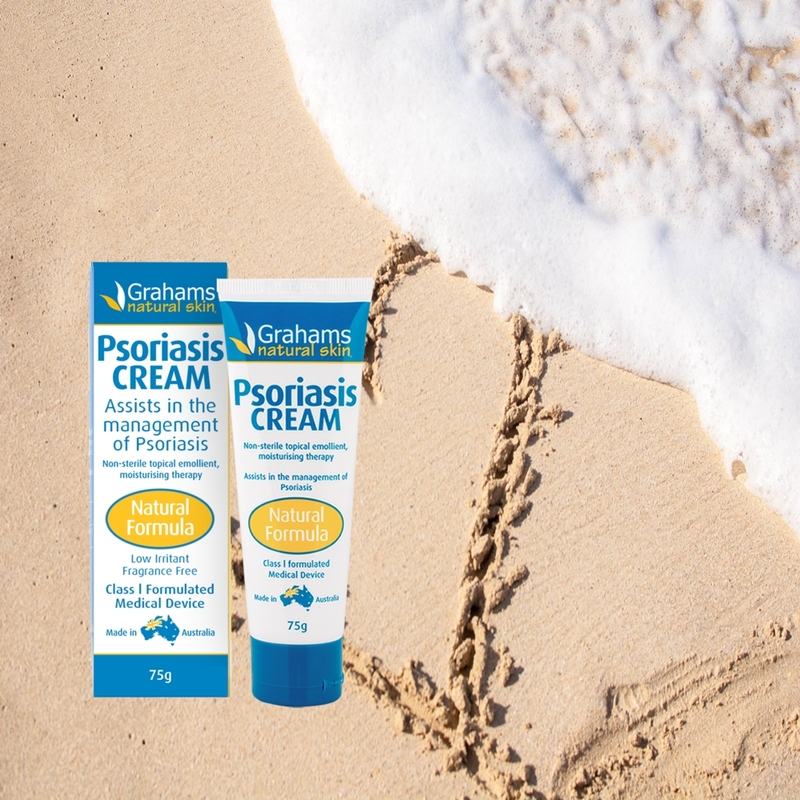 Grahams natural psoriasis cream acts by softening, soothing, and lubricating the surface to enhance scale removal and providing epidermal re-hydration. The combination of humectants, antioxidants and mild keratolytic agents compliment the emollient and moisturising action the cream provides to normalise the skins structure and function. 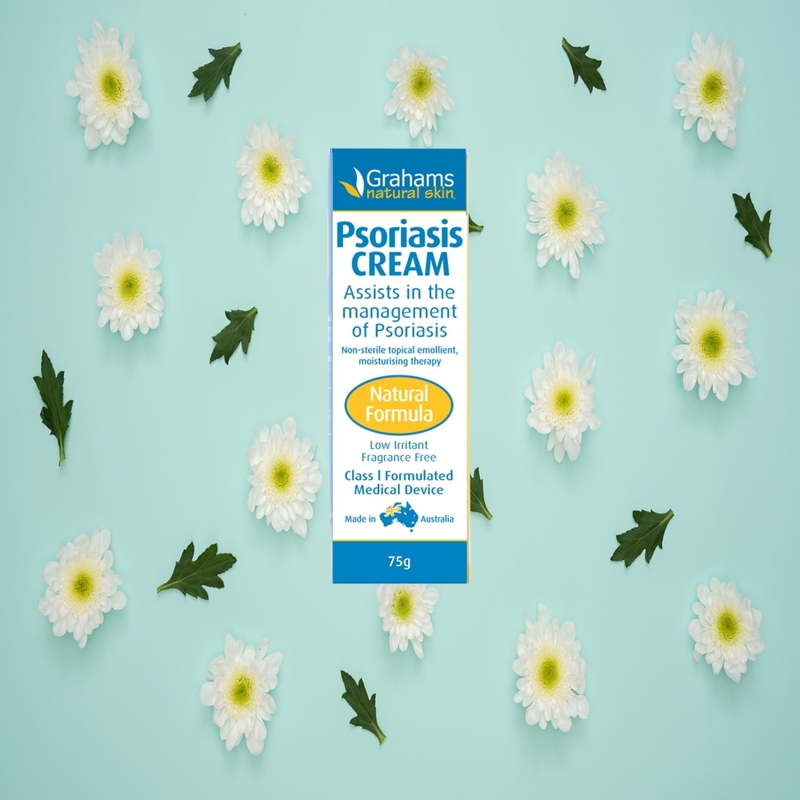 Psoriasis is a chronic inflammatory disease with a complex treatment needed, it is noted that your doctors advice is needed to manage the condition and you must tell them you are using the grahams natural psoriasis cream. The cream can be used in combination with phototherapy, medicated treatments, salicylic acid, topical vitamin A and D analogues, and corticosteroid treatments. It is important that you must NOT use this cream before application of dithranol because that medication has to stay on the skin to penetrate before washing off. You can apply the psoriasis cream AFTER this treatment to follow-up its beneficial results and supply skin with its beneficial ingredients. The non-sterile and natural formula should be applied to clean, dry skin, as required by your own skins need. One of the best methods to use emollients is to apply them thinly to the skin to allow absorption of the product and supply skin with continuous support through frequent applications during the day. The application is made easy by the squeezable tube and the low-irritant and fragrance-free formula instantly absorbs and soothes on application. The light formula that does not feel greasy or sticky and uses manuka honey, centella asiatica, jojoba oil, Shea butter, and avocado oil, while using medium-chain triglycerides, sodium hyaluronate, and beeswax (just to name a few) to hydrate, condition, and protect compromised skin. Continuing your applications when travelling are made easy by the travel-friendly tube and the cream helps in the successful management of the symptoms of psoriasis. Discover the Grahams natural psoriasis cream and the other products available from the naturally formulated skin care range, X Neil.